The UK has seen a significant rise in pawnshop broking. Previously seen as a last resort for borrowing and loans, pawnshops are now seen as a financially viable borrowing source. 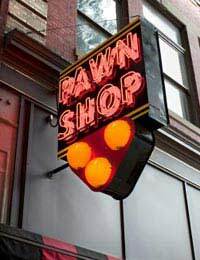 In the past pawnshops were traditionally places that customers could visit to sell goods for cash. Customers could also pawn goods, which mean goods would be exchanged for cash and then held for a certain period of time and bought back by the customer. If the customer bought back their goods the pawnbroker would make a fee in interest. If the customer does not buy back their goods then the pawnbroker is free to sell on the goods. This exchange will usually involve a credit agreement between the customer and the pawnbroker. Pawnbrokers have been on the increase in the UK, especially during the recent credit crunch. With banks becoming extremely stringent with their lending requirements pawnbrokers are a becoming a viable borrowing option. Pawnbrokers are also representing good value for money when compared to other lending options such as payday loans. The annual percentage rate (APR) applied through pawnbrokers is actually only a fraction of the typical high interest payday loan suppliers. But pawnbrokers are typically used by people with no other credit or borrowing options. Pawnshops will accept almost anything but in general items tend to be jewellery, watches and even antiques. Pawnbrokers will value the items before they decide how much can be borrowed against the item. Most pawnshops will accept electrical goods, musical instruments and basically anything that they think can be sold on if the item is not reclaimed. Customer should not expect the full retail price for their goods. The pawnbroker may have to sell on the item as a second hand good and the loan price will reflect this. Where Can Pawnbrokers Be Found? Pawnbrokers have been springing up in most high streets in towns and city centres. There are over 1300 pawnshops in the UK and this figure is continuing to rise. Pawnshops offer a range of financial services including cheque cashing facilities and payday advance loans. They will also sell goods on credit terms with interest fees and deposits required. Pawnbrokers can also be found on the internet and many offer free courier services to send goods though the post. Many borrowers would not dream of using the services of a pawnbroker. But with credit with reasonable interest rates becoming harder to find the pawnbroker has become an option. Pawnbrokers can be good borrowing solutions for short term loans when compared to loans options such as high interest payday advances. Borrowers with good credit records should have no reason to use pawnshops as interest rates will be much lower from traditional banks and online only lenders. Customers are free to negotiate with pawnbrokers when selling goods if they think the pawnbroker’s offer is not reasonable. Customers do need to recognise that pawnbrokers will be giving evaluations on a second hand basis. This will be the amount of money that they consider they can sell the item for in the future. Many items sold by pawnbrokers are often sold at auctions and that can mean low sale prices. The pawnbroker will take these issues into consideration when valuing an item. Are Pawnbrokers in the UK Licensed? Like any other financial service, pawnbrokers do have to abide by certain legal requirements. Pawnbrokers must have been issued with a consumer credit licence before they can open for business. The consumer credit licence does guarantee some form of protection for the customer. There are rules and regulations set out under law that pawnbrokers must abide by and pawnbrokers can be reported if they breach a credit agreement. More information on the pawnbrokers and the consumer credit licence can be found at the National Pawnbroking Association website. Pawnbrokers are simply another form of lending that has become popular in the UK. Many people would not consider using pawnbrokers due to the higher interest rates. But for people with poor credit records the pawnbroker may be one of the only borrowing options available. Customers using a pawnbroker should always read the terms and conditions of the credit agreement before signing.